Ranbuild has provided the information contained on this web site on the basis that we give the information in good faith. None of Ranbuild, its affiliates and any of their respective directors, officers, employees or agents makes any representation or warranty as to the accuracy, completeness, currency or reliability of the information contained on the Web Site (including in relation to any goods or services) and none of them accept any responsibility arising in any way (including negligence) for errors in, or omissions from, the information contained on the Web Site. You should not rely on the information on this site or any linked site without making your own independent assessment of the information. You should consult your own advisers to verify its accuracy. You acknowledge that the inclusion of links from this site is not intended as an endorsement or recommendation. If you create a link to this web site, you do so at your own risk. We have not consented to any conduct with a linked site which may be unlawful or an infringement of a third party’s rights. a failure or omission on the part of Ranbuild to comply with its obligations under these Terms and Conditions of Use. Ranbuild is not liable to you or anyone else if interference with or damage to your computer systems occurs in connection with use of the Web Site or any linked web site. You must take your own precautions to ensure that whatever you select for your use from the Web Site or any linked web site is free of viruses or any other thing that may interfere with or damage the operations of your computer systems. using the Web Site as an information source for your own purposes. You must not, without our prior written permission, exploit the Web Site or any of its Contents for any other purpose or by any other means. You must not, without our prior written permission and the permission of any other owner of rights in content on the Web Site, copy, mirror, broadcast, reproduce, frame, republish, download, store (in any medium), up-load to a third party, transmit, post, broadcast, distribute, show or play in public, adapt or change in any way the content of, or create a derivative work from, these web pages for any other purpose. breaches any standards, content requirements or codes promulgated by any relevant authority, including authorities which require Ranbuild to take remedial action under any applicable industry code. You agree to fully indemnify and hold Ranbuild and its related body corporate harmless from any claim, cost, demand or damage (including legal costs on a full indemnity basis) incurred or which may be incurred arising from a breach by you of these Terms and Conditions of Use. The Web Site may contain links to web sites operated by third parties. These linked web sites are not under the control of Ranbuild and we are not responsible for the contents of any linked web site or any hyperlink contained in a linked web site. Links are provided to you for convenience only, and the inclusion of any link does not imply any endorsement of the linked web site by Ranbuild. Following links to such web sites is done so entirely at your own risk. Ranbuild accepts no liability for any loss incurred by you directly or indirectly as a result of your reliance on information on any linked web site and accepts no liability and disclaims all warranties, express or implied, regarding the purchase or use of goods or services on any linked web sites. Linking to the Web Site will only be permitted with the prior written consent of Ranbuild. Any links if allowed, must link directly to the Web Site’s homepage and none of the other pages within the Web Site unless otherwise agreed by us in writing. To request permission to link to this site, please email the site’s webmaster. Ranbuild reserves the right to alter product specifications without notice. Publishing information about a product on the Web Site does not mean that the product is necessarily available for sale or in stock. These Terms and Conditions of Use will be governed and interpreted in accordance with the laws of Queensland, Australia. You and Ranbuild agree to submit to the non-exclusive jurisdiction of the courts of Queensland. We do not warrant that the Web Site complies with the laws of any country outside of Australia. If you choose to access the Web Site from another location or jurisdiction, you do so at your own risk and are responsible for compliance with applicable local laws. Our failure to exercise or enforce any one or more of its rights under these Terms and Conditions of Use will not constitute a waiver of such rights unless such waiver is granted by Ranbuild in writing. Ranbuild may amend, update or change the Web Site including these Terms and Conditions of Use. Revised terms will be posted on the Web Site and will be effective immediately unless otherwise stated. By continuing to use the Web Site after any amendment becomes effective you agree to be bound by the Terms and Conditions of Use as amended. You should periodically visit this page to determine the current Terms and Conditions of Use to which you are bound. The Terms and Conditions of Use are effective until terminated by Ranbuild. Ranbuild may terminate these Terms and Conditions of Use and your access to the Web Site at any time without notice. In the event of termination, all restrictions imposed upon you and all disclaimers and limitations of liability set out in the Terms and Conditions of Use shall remain effective despite termination. 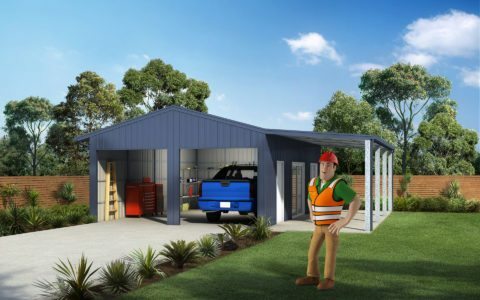 Ranbuild and Covermaster are trade marks of Lysaght Building Solutions Pty Ltd. Except where otherwise stated, all registered trade marks used on the site are used with the permission of the registered owners. You must not use any trademarks without the prior, specific, written permission of its owner whether it is Ranbuild or a third party. All material on the Web Site is protected by copyright under the laws of Australia and, through international treaties, in other countries. Unless otherwise indicated, all rights (including copyright) in the content and compilation of the Web Site pages and on-line images including text, graphics, logos, button icons, video images, audio clips and software, including navigational software (collectively referred to as the Contents) are owned or controlled for these purposes, and are reserved, by Ranbuild and/or licensors. You must not copy, mirror, broadcast, reproduce, frame, republish, download, store (in any medium), up-load to a third party, transmit, post, broadcast, distribute, show or play in public, adapt or change in any way the Web Site or its contents except as expressly provided in the Terms and Conditions of Use.